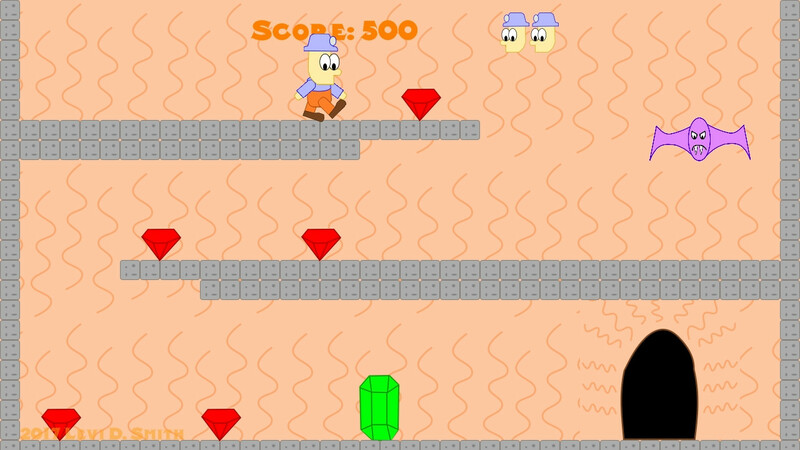 Help the miner collect gems and escape the caves. Run and jump to avoid the deadly bats! This my first time submitting a game to GM48. This game jam was recommended to me by a friend in Knoxville Game Design. The last game I made in GameMaker was a game called Shape Quest that I created for a game jam in April 2016. My GameMaker skills are a little rusty, but I still remembered most of the basics. This is my first time developing a platformer in GameMaker. 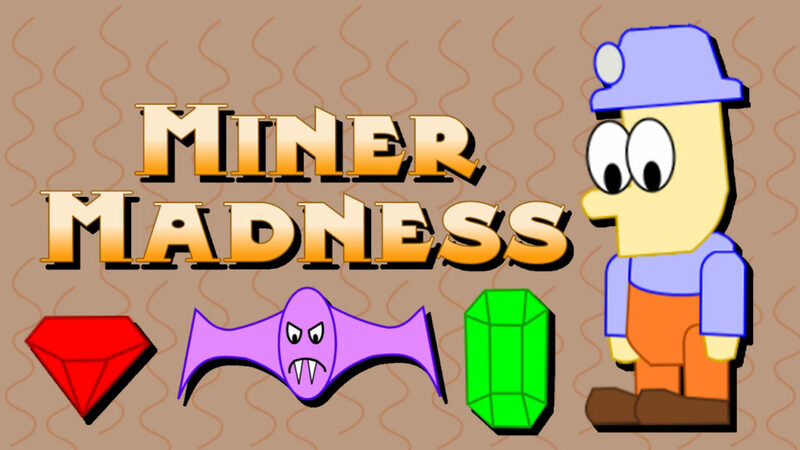 The entire development stream of Miner Madness is on my YouTube channel. The total development time was about 9 hours (I didn’t start until Saturday afternoon). Move with the left and right arrow keys. Press space to jump. 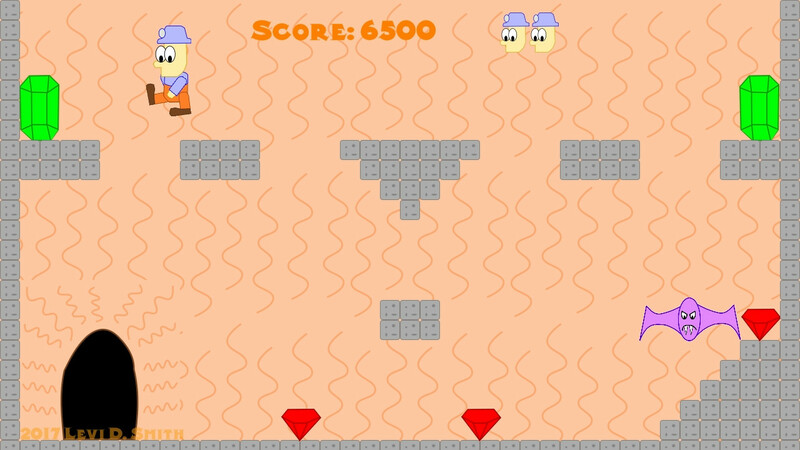 The level can be restarted by pressing escape (provided you still have lives remaining). Red rubies are worth 500 points and green emeralds are worth 1,000 points.